General (Retired) John F. Campbell retired from the US Army on 1 May 2016 after 37 years of active duty service. He was most recently the Commander of NATO Forces for the ISAF/Resolute Support Mission and Commander of United States Forces—Afghanistan from August 2014 to March of 2016. Prior to this command assignment, he served as the 34th Vice Chief of Staff of the U.S. Army and the Deputy Chief of Staff for Operations-G3, 5, 7 running the day to day operations of the US Army. After graduating from the United States Military Academy at West Point in 1979, General Campbell began his career as an infantry officer with his initial assignment in Germany. Upon completion of this tour he attended the Infantry Officer Advanced Course and Special Forces Qualification Course and he was assigned to his first of three tours to Fort Bragg, North Carolina. Campbell subsequently commanded a Special Forces Operational Detachment Alpha in the 5th Special Forces Group, and then commanded an Infantry company in the 82nd Airborne Division. After a tour serving as a Professor of Military Science at the University of Calif-Davis, he served as the Aide-de-Camp to the Commanding General, XVIII Airborne Corps, deploying in support of Operation Uphold Democracy in Haiti. He then assumed command of the 2d Battalion, 5th Infantry, 25th Infantry Division (Light) at Schofield Barracks, Hawaii. Upon graduation from the Army War College and after a tour of duty on the Joint Staff, Campbell was promoted to colonel and then assumed command of the 1st Brigade, 82d Airborne Division and deployed in support of Operation Enduring Freedom in Afghanistan. He then assumed duties as the Executive Officer to the 35th Army Chief of Staff and upon promotion to brigadier general was assigned as the Deputy Commanding General (Maneuver), 1st Cavalry Division and deployed as DCG Multinational Division Baghdad during Operation Iraqi Freedom and the historic surge into Iraq in 2006-2007. After another tour on the Joint Staff as the Deputy Director for Regional Operations he was promoted to major general and assigned as the Commanding General, 101st Airborne Division at Fort Campbell, Kentucky. In 2010-2011 he deployed the entire division and assumed command of US and NATO forces as Commander, Combined Joint Task Force 101 in Bagram, the operational headquarters for Regional Command East in support of Operation Enduring Freedom. General Campbell holds a Bachelor of Science degree from the U.S. Military Academy and master’s degrees in Public Administration from Golden Gate University and MS in National Security Strategy from the Army War College. He has earned the Combat Infantryman Badge, Combat Action Badge, Master Parachutist Badge, as well as the Ranger and Special Forces Tabs. 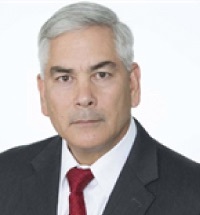 General Campbell is a member of the Board of Directors of BAE Systems, Inc., and API Technologies, member of the Organizational Executive Board of J.F. Lehman & Company; and member of the advisory board for SAP-NS2 and AM General.